Did you know that earthworms are not native to the Americas? Do you know what they like to eat best? An animated, interactive game that teaches the basics of vermicomposting and its benefits, plus other waste management strategies like the 3Rs–reduce, reuse and recycle! 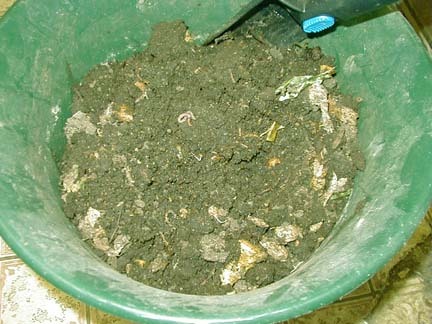 Vermicomposting is really just composting but you use worms to do the work, and it’s an excellent way to recycle organic materials–like kitchen scraps and yard trimmings. One of the biggest problems about proving a worm sleeps is catching one doing it. Digging up a worm without waking it is, apparently impossible. Labeled earthworm to color. Some interesting facts about earthworms. A recipe for making jello worms and another for making “dirt” with “worms” you can eat. How To Set up a Cheap & Easy Worm Factory Start to Finish! In this episode, I teach everyone how to set up a worm bin from start to finish. This is better than a worm factory 360 because it costs 10 times less, and produces 10 times more castings. It is a worm farm in a tote!! Trying to figure out what that ‘thing’ is in your worm bin? You’ll most likely find it here! Vermicomposting (composting with worms) can be fun, but it is also good for our planet! A new edition of the definitive guide to vermicomposting–a process using redworms to recycle human food waste into nutrient-rich fertilizer for plants. 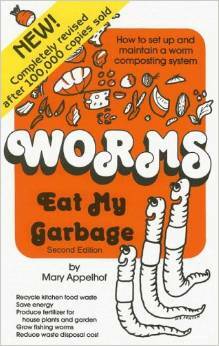 Author Mary Appelhof provides complete illustrated instructions on setting up and maintaining small-scale worm composting systems. Internationally recognized as an authority on vermicomposting, Appelhof has worked with worms for over three decades. Topics include: bin types, worm species, reproduction, care and feeding, harvesting, and how to make the finished product of potting soil. While designed for classrooms, this guide can easily be adapted for home red worm raising and composting. To make your study of worms a little easier, build a “house” to keep them in. A first grade unit study with experiments, songs, and recipes about worms. Our kitchen worm “farm” creating compost for the house plants.